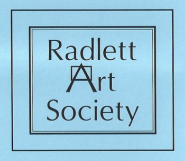 The Radlett Art Society, founded by Tom Coubro in 1966, offers art in all its forms. Membership now exceeds 250, including both artists and non-artists. The Society is run by an enthusiastic committee, each of whom take responsibility for an aspect of the work involved. The main aim of the Society is to stimulate interest in painting, sculpture and allied subjects, by illustrated lectures given by experts in their fields, and by organised visits to Art Galleries, Exhibitions and buildings of artistic interest in this country and in Europe. The summer exhibition is the highlight of the Society's year, and is open to all members wishing to show and perhaps sell their work. For practical artists the Society organises painting workshops - (life, portrait, still-life) for members of all abilities, and demonstrations by visiting artists. In the summer there are out-door sketching sessions. Social events include an exhibition luncheon and a Christmas supper. Our current annual subscription of £30 (student £10) represents excellent value for all the events the Society offers, so why not come and join those of us who have enjoyed this superb amenity for so long?